uring his presidential election campaign in 2015, President Maithripala Sirisena used photos of murdered ruggerite Wasim Thajudeen and missing journalist Prageeth Ekneligoda to criticise the state of affairs under former President Mahinda Rajapaksa’s rule. At every election rally, Sirisena, ousted Prime Minister Ranil Wickremesinghe along with other politicians of the United National Front (UNF) Government spoke about the spate of killings, assaults, intimidations and abductions committed between 2005 and 2015. They promised to serve justice in cases including the alleged murder of Thajudeen, shooting of Katunayake Free Trade Zone (FTZ) worker Roshen Chanaka, the suspected killing of 27 prisoners at Welikada, the abduction of 11 youth in Dehiwala-Kotahena areas and the disappearance of journalist and cartoonist Ekneligoda. Since 2015, there seemed to be little progress in the investigations. The suspects of a few cases were arrested and compensation was paid to the families of victims. But, the masterminds behind the above mentioned criminal acts are still enjoying impunity. 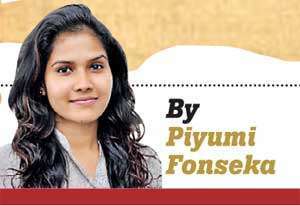 President Sirisena’s Government, that promised to clear the stigma associated with the country regarding unsolved crimes of the previous regime, has failed to keep its word. Witnesses of the killing and abduction cases and relatives of the victims aired their views on the political change that is taking place in the country. They also voiced their opinions on how it would affect the ongoing investigations of their cases. They fear that the return of the previously ousted powerful leader Mahinda Rajapaksa would officially put the full stop to the ongoing investigations. Wasim Thajudeen, a prominent national rugby player, was found dead in a burnt car in May 2012 in Kirulapone. Earlier it was reported that his car had crashed into a wall and caught fire. It was ruled as an accidental death. However, the recent investigations by the CID had found that the player was murdered before the accident and what was made to resemble an accident was staged. Former Officer-In-Charge of Narahenpita Police Sumith Perera, former Western Province Senior DIG Anura Senanayake and former Colombo Judicial Medical Officer Prof. Ananda Samarasekara have been arrested in connection with the cover-up after the murder. However, no suspect has been arrested yet regarding the killing of the rugby player. The next trial date for the case is November 29. During the past three and a half years, Thajudeen’s murder case was making headlines almost every other day. 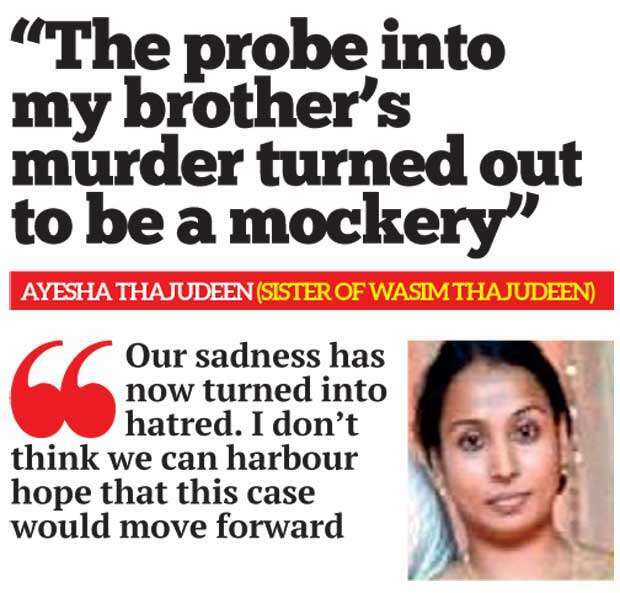 Ayesha Thajudeen, the sister of the national rugby player, spoke to the Daily Mirror and expressed her disappointment over the political drama which was linked to his brother’s murder case. She said that her family had hope when there were developments in the investigation. “But, during the past one and half year, the investigation and the hearings turned out to be a mockery. I have stopped going to the hearings,” Ayesha said. She is of the view that the political conflict between the two main political parties may have contributed to the bureaucratic delay of this murder case. "Our sadness has now turned into hatred because we shouldn’t have gone through such an unpleasant experience if there was nothing important going to surface from the case"
It has been very difficult for Thajudeen’s family to endure an experience in which one of its member’s face was in the headlines every day and eventually conclude with no positive outcome. She believes that the law enforcement authorities possess information regarding her brother’s murder. Yet, they are not ready to release it to support the investigation. “Our sadness has now turned into hatred because we shouldn’t have gone through such an unpleasant experience if there was nothing important going to surface from the case,” said Ayesha. ‘‘I don’t think we can harbour hope that this case would move forward. The only wish is that God will serve justice some day,” Ayesha said. She pointed out that the judiciary and every law prevailing in the country should be put together for the benefit of its citizens. “Even the political arena is in an entire mess now. How can we have any hope regarding our brother’s case?” asked Ayesha. She stated that Sri Lanka has reached a point where the country as a whole has lost. “It isn’t only about crimes,” she reflected. It is ten years since the white van abductions featuring 11 youth had taken place in and around Colombo. The family members, whose sons, husbands and fathers have failed to return home since September 2008- when they were abducted in white vans allegedly by the Sri Lanka Navy- still demand that the authorities find out the whereabouts of their loved ones. 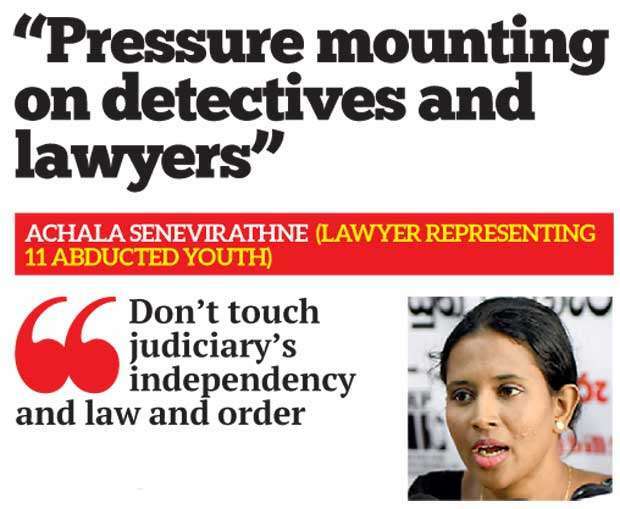 During their 10-year struggle, Achala Senevirathne was the lawyer who represented the aggrieved families. Senevirathne said that it is too sad to say that parents, wives and children of the abducted are still looking forward to the return of their loved ones. She also said that they need to see the truth prevail, since all the evidence had been collected from the required parties. “Governments may change from time to time. But the judicial system, where people seek justice from, has to remain independent without any political influence. We started this case against abductions of the 11 youths while being under pressure from outside parties who wanted us to withdraw ourselves from the case,” she said. Six years have lapsed since the deaths of 27 inmates inside Welikada Prison; during a riot and in the aftermath of the incidents which took place in November 2012. The failure to promptly open and carry out a criminal investigation into the deaths is another black mark on Sri Lanka’s justice system. Despite having strong evidence and the testimonies of a number of witnesses to the alleged shooting incident, those who gave orders to shoot ‘selected’ inmates haven’t been caught. The families of those killed claim that those responsible for the alleged massacre include some powerful political and security officials who are still roaming free. A key eyewitness to the shooting incident, Sudesh Nandimal Silva alleged that those who gave orders to shoot at the prisoners have surfaced in society due to changing political power. Silva has frequently been threatened and intimidated. “Within the past three and half years, we witnessed some progress in investigations of crimes committed during the Rajapaksa regime. The investigations were slowly and steadily reaching the prosecution,” he said. "Governments may change from time to time. But the judicial system, where people seek justice from, has to remain independent without any political influence"
Silva thinks that deliberately protecting culprits of the crimes and delaying judicial procedure against them are chief reasons for the present political calamity. He said that the relatives of the victims of these cases had worked hard to unseat the previous Government, expecting good governance in stead where lives of the people would be safe. “But, now President Sirisena has brought the Rajapaksas back to power,” Silva said. He has no doubt that Mahinda Rajapaksa’s return to power would expose their lives to more danger. He is also disappointed with President’s actions. 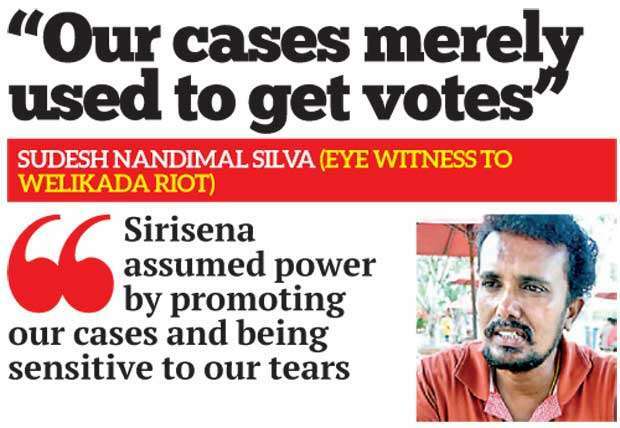 “Maithripala Sirisena assumed power by promoting our cases and being sensitive to our tears. He used the cases to get more votes and promised to bring justice to all the victims. He also promised to release the country from the grips of criminals. Don’t let people experience another period of terror,” he pleaded. Cartoonist and political analyst Prageeth Ekneligoda went missing in January, 2010, shortly before the Presidential Election. His wife Sandya Ekneligoda, demanding an account of her husband’s whereabouts, has taken her protest even to the United Nations. She has been threatened and insulted by various people, yet she is determined to continue with her fight. 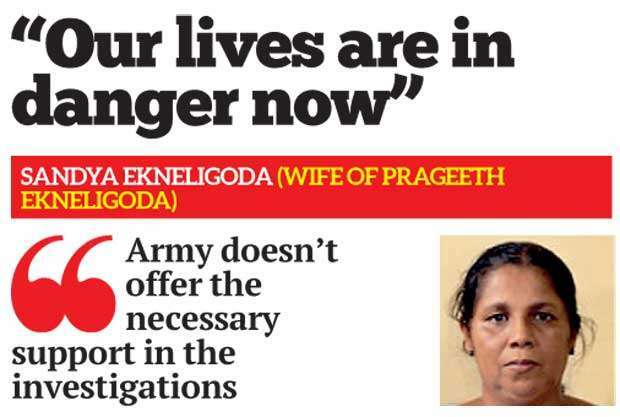 Sandya told the Daily Mirror that the Army doesn’t offer the necessary support in the investigations. “They have information to continue with the investigations or to conclude them. But, for reasons known to them, they aren’t ready to support the case,” she complained. “I have been facing threats and intimidations even during the Yahapalana Government. By today the Rajapaksas have acquired power again. Our lives are in danger now. We never know how things would turn out,” she said. She also criticized that several media organisations are working on propaganda, adding that the journalists and editors should not forget how media stations were burnt down, journalists were killed and attacked during the Rajapaksa regime. She stated that democracy in this country is at stake now. Speaking on the current political crisis, Ekneligoda said, “Sirisena’s actions in 2017 and 2018 did not match his words in 2015. If his actions did not match his words, then his words were nothing, but blatant lies,” Sandya stressed. Roshen Chanaka was shot dead in May, 2011 by the police during a protest by Free Trade Zone (FTZ) workers in Katunayake against a Government move to introduce a pension scheme for the private sector employees. His mother, W.D. 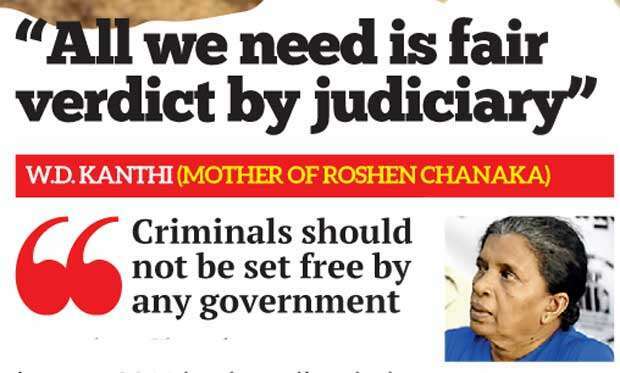 Kanthi ,who still laments over her son’s demise, has been engaging in monthly protests outside the FTZ, demanding that the Government releases the report compiled by former High Court Judge Mahanama Tillekeratne on the Katunayake FTZ violence. Although the report was said to have been handed over to the then President Mahinda Rajapaksa, it was not published nor were the recommendations of the report implemented. Kanthi said that she also worked hard for the victory of the Yahapalana Government with high expectations of a safe country for sons of all Sri Lankan mothers. “We cannot live in an unsafe country. Now we are compelled to do so. No one can guarantee the safety of our sons in this country now. The only thing that the Yahapalana Government did was the release of the Mahanama Tillekeratne Report. It also happened as a result of continual protests and requests,” Kanthi said. She said that no matter who occupies the hot seat in politics, she would demand justice for her son; who died at a young age. “Criminals should not be set free by any government. All the family members gathered here today have the right to hear the news of a fair verdict by the judiciary,” Kanthi added. 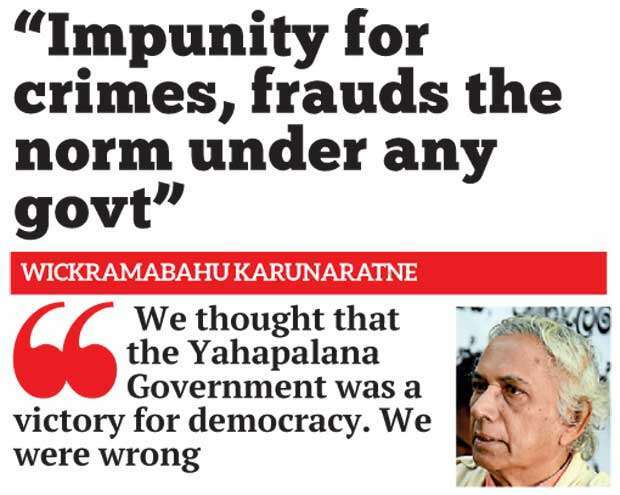 Meanwhile, Nava Sama Samaja Party Leader Wickramabahu Karunaratne said that in a country like Sri Lanka, impunity for murderers, fraudsters and human right violaters has been the norm. “No person committing criminal activities has been held responsible for any of the human rights violations committed under the last Rajapaksa Government between 2005 and 2015. There has been little or no progress in investigating the attacks and threats that have taken place. We thought that the Yahapalana Government was a victory for democracy. We were wrong,” Karunarathne said. 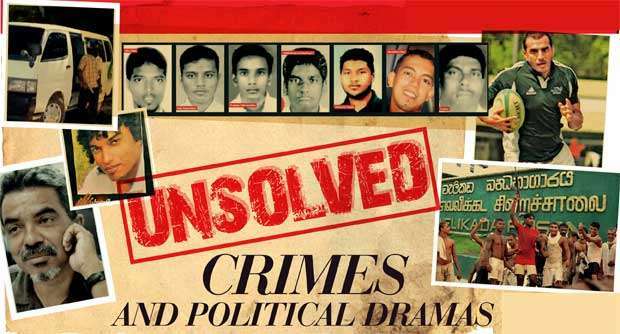 Apart from the murder of Thajudeen, shooting of Chanaka, killing of 27 prisoners at Welikada, abduction of 11 youths for ransom and the abduction of Ekneligoda, there are many unsolved cases such as the extra-judicial killings during the 88-89 period which took place under the rule of the UNP Government too included in the accounts presented in the Batalanda Commission report. However, the lack of accountability together with violence and threats can affect the investigations and the parties who have been continuing to pursue these cases over the years despite obstacles. Whoever is in office, until authorities take concrete steps to reduce impunity, it will be difficult for the country to restore trust of the people in country’s democratic system and judiciary system. The Daily Mirror contacted the newly appointed Government Spokesperson and State Minister of Mass Media and Digital Infrastructure Keheliya Rambukwella for a comment on behalf of the new government regarding the above mentioned allegations. “The Yahapalana Government promised that they would bring perpetrators of those incidents to book. They had almost four years in office to keep their word. But, I don’t think they found anything substantial or anything that can be proved in a court of law. As they haven’t found any powerful political character behind these incidents as they earlier said, I don’t think any of these investigations is genuine. "These so-called investigations are still in the non-summary level where the law enforcement agencies haven’t been able to find conclusive evidence against the defendants"
“The Army officials and Police officers were arrested and kept in remand with no strong charges against them. I salute the judges who bravely took the decision to grant bail to several suspects saying that they could not be locked up unless the detectives could prove their guilt. For an example, Senior DIG Anura Senanayake was kept in remand for almost 13 months. This is political victimization,” said Rambukwella. He also said that these so-called investigations are still in the non-summary level where the law enforcement agencies haven’t been able to find conclusive evidence against the defendants. Meanwhile, Member of Parliament and eldest son of former president Mahinda Rajapaksa, Namal Rajapaksa, speaking to the Daily Mirror upheld Minister Rambukwella’s claims. "There is no room for politically motivated investigations under our Government"